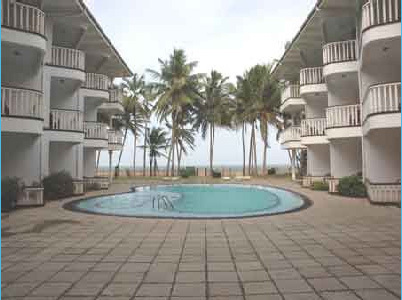 Hotel Address:Olenka Sunside Beach Hotel, Moderawella, Marawila, Sri Lanka. 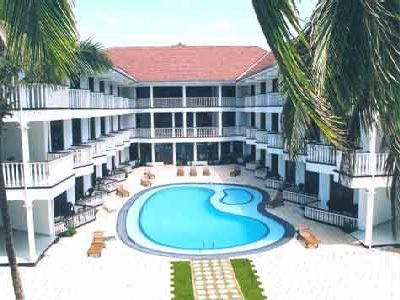 Olenka Sunside Beach Hotel is situated in Moderawella, Marawila or the west coast of Sri Lanka 60km from the colombo and just 28Km from Bandaranayaka International Airport. It is elegantly situated overlooing the deep blue indian ocean where the gentle breeze of the trade winds will cool you while the hot tropical sun or the lush green vegetation will make you wonder whether this is island heaven. We are a recently opened hotel with 38 double and twin rooms with four luxury suites elegently furnished with air condition, ceiling fan, hot and cold showers,mini fridge and TV provided on request. Situated in Moderawella, Marawila or the west coast of Sri Lanka 60km from the colombo and just 28Km from Bandaranayaka International Airport. Address Olenka Sunside Beach Hotel, Moderawella, Marawila, Sri Lanka.